NYC Holiday Package – See 4 great NYC holiday sights at 33% off with this awesome itinerary put together by one of NYC’s top tour companies. 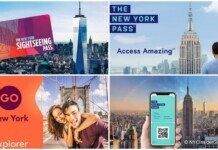 New York CityPass Winter Special – While the New York CityPASS is normally good for Nine (9) days, customers who start using their booklet on or after December 15, 2012 will have until February 28, 2013 to enjoy each ticket in the booklet once. NEW NYC Vacation Packages – BOOK NOW BEFORE THEY SELL OUT! New York Knicks Tickets – The NY Knicks are better than ever (undefeated at MSG as of today, with a 12-4 record), as we welcome Jason Kidd, our newest guard! He joins a star studded cast of Amar’e Stoudemire and Carmelo Anthony. If you are in Manhattan, you are no more than 15 minutes from Madison Square Garden, which has some of the best sports venue food around. Celebrities on Broadway – who isn’t on Broadway this Winter? Check out all the new Broadway Shows starring, Al Pacino and Bobby Cannavale | Jake Gyllenhaal Patti LuPone and Debra Winger | Paul Rudd and Ed Asner Cheyenne Jackson, Henry Winkler and Alicia Silverstone Katie Holmes | Tony Shalhoub | Sigourney Weaver and David Hyde Pierce and so much more! Did you purchase the NYC Insider Print Guide with over 50 JAM-PACKED pages of neighborhood maps and the BEST things to do in NYC, as voted by all native New Yorkers, ready to print and go? Please do tell, what did you think of the NYC Insider Print Guide? 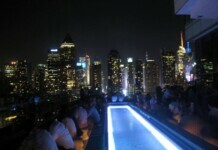 Do you know of any great websites that would be good partners for the NYC Insider Guide? I could really use the support of other websites linking to NYCIG, so just reply to this newsletter if you have any suggestions or contacts of sites you know will link to NYC Insider Guide. Thank you very much for taking an extra moment to consider this request! Most Popular Things to Do in New York City – What to Book now! – Dr. Seuss’ How the Grinch Stole Christmas! – SpiderMan, Mary Poppins, Mamma Mia! Tours, Cruises, Broadway and much more! Harry Potter The Exhibit Returns to Discovery Center through May 2013. Annie on Broadway – the classic Broadway revival is a hit! New York City Events: December, January, February! Get Tickets – on Sale Now! New Years Eve Times Square Ball Drop Gala Party – Get your Front Row View of the Ball Drop at a Private Party! Celebrities on Broadway – who isn’t on Broadway this Fall? All of December is great for kids! NYC Insider Guide Manhattan Monthly brings you the latest on everything you need to plan and experience New York City like a native New Yorker! If a friend did forward this to you, you enjoyed it, and would like a FREE NYC Insider Printable Guide to Manhattan, please subscribe by visiting NYC Insider Guide. 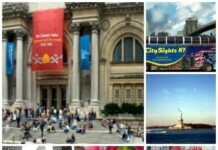 Thank you for visiting the NYC Insider Guide …welcome to our city and I hope you love it as much as I do! Feedback about Manhattan Monthly- please share! 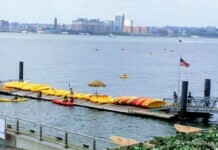 (c) 2009 -2013, NYCInsiderGuide.com. All rights reserved. Reproduction of any material from this newsletter without written permission is prohibited. You are subscribed to the NYCInsiderGuide Newsletter.